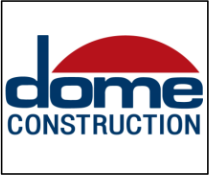 We thank Dome Construction for their generous support. Since 1969, our clients, some of the most recognizable in the Bay Area, trust Dome Construction. Our team rises to project challenges and builds a transparent, collaborative environment with all business partners. We measure success through building sustainable relationships. Our areas of expertise include Technology, Tenant Improvement, Healthcare, Energy Optimization, and other Special Projects.